Apple's vehicle project, focused on building an autonomous driving system. Hundreds of Apple employees were once rumored to be working on an electric car, but the project's focus has shifted to developing self-driving car software instead of an actual car. Subscribe for regular MacRumors news and future Apple Car info. Starting in 2014, Apple began working on "Project Titan," with upwards of 1,000 employees working on developing an electric vehicle at a secret location near its Cupertino headquarters. Internal strife, leadership issues, and other problems impacted the car project, with rumors suggesting Apple in 2016 shelved plans for a car for foreseeable future. Apple laid off hundreds of employees who were working on the project, and under the leadership of Bob Mansfield, Apple is said to have transitioned to building an autonomous driving system rather than a full car, which could potentially be used in the cars of various partner companies. Though multiple rumors have suggested Apple has shifted its focus to autonomous driving software rather than a full-on car, the August 2018 rehiring of Tesla engineer Doug Field has led to speculation that Apple may again be exploring a car option. Reliable Apple analyst Ming-Chi Kuo also believes that Apple is still working on an Apple Car that will launch between 2023 and 2025. Kuo believes the car will be Apple's "next star product" with Apple able to offer "better integration of hardware, software and services" than potential competitors in the automotive market, with Apple-designed chips manufactured by TSMC. Apple in January 2019 culled the Project Titan team once again and removed over 200 employees. The move is said to be part of a restructuring done under the leadership of Doug Field, but it's not yet clear how this will impact Apple's autonomous vehicle plans. In June of 2017, Apple CEO Tim Cook spoke publicly about Apple's work on autonomous driving software, confirming the company's work in a rare candid moment. Apple doesn't often share details on what it's working on, but when it comes to the car software, it's harder to keep quiet because of regulations. "We're focusing on autonomous systems. It's a core technology that we view as very important. We sort of see it as the mother of all AI projects. It's probably one of the most difficult AI projects actually to work on." -- Apple CEO Tim Cook on Apple's plans in the car space. 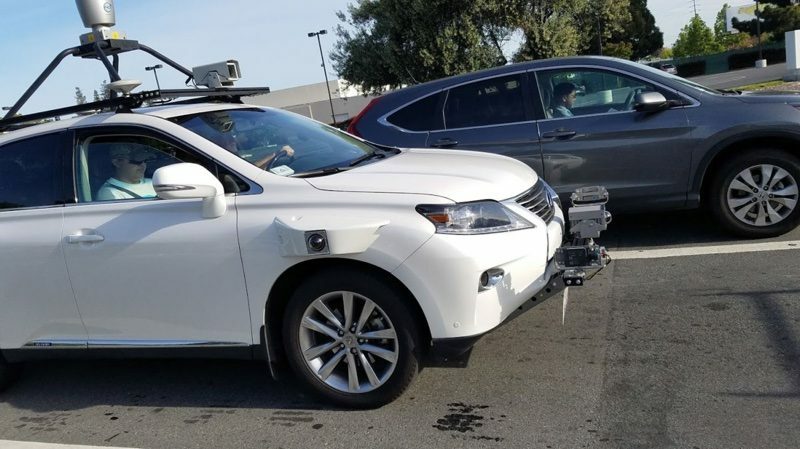 In early 2017, Apple has been granted a permit from the California DMV to test self-driving vehicles on public roads, and is testing its self-driving car software platform in several 2015 Lexus RX450h SUVs leased from Hertz. The SUVs have been spotted on the streets of Cupertino host of sensors and cameras starting in April. Apple has several of the Lexus SUVs outfitted with a range of different sensors running its self-driving software. New LIDAR equipment was spotted in August of 2017, and Apple has been significantly ramping up its fleet in 2018. As of May 2018, Apple has 70 vehicles out on the road using its autonomous driving software. Apple has held talks with four suppliers of LiDAR sensors that are smaller, more affordable, and more easily mass produced than current LiDAR systems, which are too bulky and expensive for use in mass produced vehicles. Apple is aiming for a "revolutionary design" that could potentially be used in a future autonomous vehicle. It continues to be unclear if Apple wants to build its own vehicle or supply self-driving hardware to other manufacturers, but Apple wants control over the sensors and software regardless of who makes the vehicle. Apple is also working on its own LiDAR sensor equipment. Apple is also working on a self-driving shuttle service called "PAIL," an acronym for "Palo Alto to Infinite Loop." The shuttle program will transport employees between Apple's office in Silicon Valley. Apple is partnering with Volkswagen and will be installing its self-driving software in Volkswagen T6 Transporter vans to serve as an employee shuttle. German website Manager Magazin claims that Apple's industrial design group has created prototypes of a van with black and silver finishes, indicating the Apple Car could be an Apple Van. This could be linked to the rumors suggesting Apple is working on self-driving employee shuttles. Apple has several teams working on different aspects of the autonomous driving software that's in the works. In Canada, a team made up of two dozen former BlackBerry QNX customers are helping to develop the base operating system, while another team works on developing the software that will run on it, such as a heads-up display and self-driving capabilities. Apple's interest in a car dates back to before the original iPhone, and Apple executives discussed building a car before the device launched. Steve Jobs considered developing an Apple car, and even met with the manufacturer of the lightweight, inexpensive "V-Vehicle" in 2010, but is said to have ultimately decided not to work on a car in 2008, preferring instead to focus development on the iPhone. With the iPhone now secure as Apple's most profitable device, Apple has turned to other avenues of research and development, once again exploring the possibility of a car-related project. The first details on the Apple Car started leaking out at the beginning of 2015. 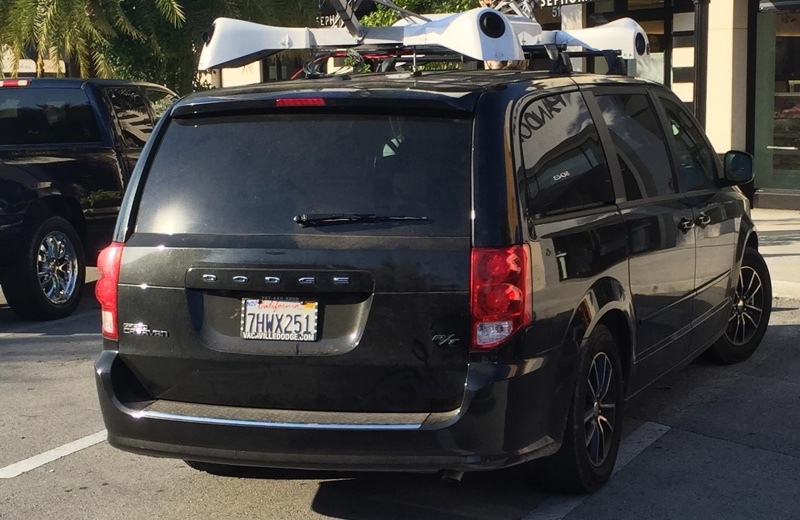 In February of 2015, a mysterious van leased to Apple was spotted driving around streets in Northern California. The van had a camera rig attached to it with multiple cameras, leading to speculation that Apple was using it to develop a product similar to Google Street View. More outlandish speculation ranged towards the possibility of a self-driving vehicle, but people who spotted the vans quickly determined the vans had drivers. Apple later came out and said the vans were related to a mapping project, but they were undoubtedly the catalyst that led to the discovery of Apple's secret on a car. Just days after the vans were first spotted, an unidentified Apple employee emailed Business Insider, suggesting Apple was working on a project that would "give Tesla a run for its money." The source said that Tesla employees were "jumping ship" to work on a project at Apple that was "too exciting to pass up." That tantalizing hint led several media sites to dig deep into Apple's plans, and in mid-February, Financial Times learned that Apple was recruiting automotive technology and vehicle design experts to work in a "top-secret research lab." That piece highlighted Apple's hiring of former Mercedes-Benz Research and Development exec Johann Jungwirth and pointed out Apple's efforts to research automotive products. Financial Times and other media sources initially speculated Apple was perhaps developing an advanced software platform to build upon CarPlay because a full-on car project sounded unbelievable, but just hours later, The Wall Street Journal launched a figurative bomb. 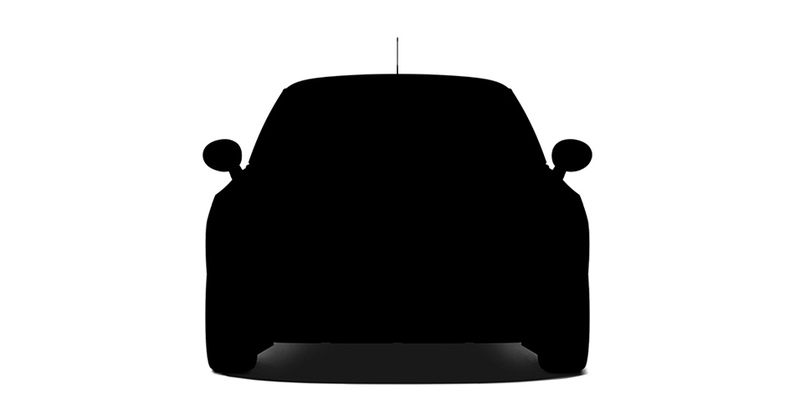 Apple was indeed working on creating an electric vehicle, said the site, a project that it started exploring in 2014. According to The Wall Street Journal's sources, Apple had hundreds of employees working on designing a minivan-like electric vehicle under the code name "Project Titan." Steve Zadesky, Apple VP of Product Design was leading the project under Dan Riccio, and was given the go ahead by Apple CEO Tim Cook to recruit upwards of 1,000 employees, many from within Apple. Apple executives met with contract manufacturers of high-end cars like Magna Steyr, who Apple might have worked with had the car project not shifted focus. Apple's car team explored a wide range of technologies, including silent motorized doors, car interiors sans steering wheel or gas pedals, augmented reality displays, an improved LIDAR sensor that protrudes less from the top of a car, and spherical wheels, but there was no clear vision for the car and executives disagreed even on major points like whether the car should be autonomous or semiautonomous, leading to delays and internal strife. As a result, in January of 2016, Steve Zadesky announced plans to exit the project, leaving questions as to who would take over following his departure. In July of 2016, former Apple exec Bob Mansfield, who had retired from Apple in 2012, returned to lead the electric vehicle team. After Mansfield began heading up the project in the summer of 2016, Apple's car strategy allegedly shifted towards autonomous driving, and in August and September of 2016, Apple laid off dozens of employees who were working on the project following an internal "reboot," many who have gone on to join other autonomous driving startups. Apple adjusted the project to focus more heavily on the "underlying technology" for autonomous vehicles rather than actually building an automobile, and while initial rumors suggested the company was still developing a car and was continuing to pursue partnerships, later information indicated work on an actual car has stopped for the time being. 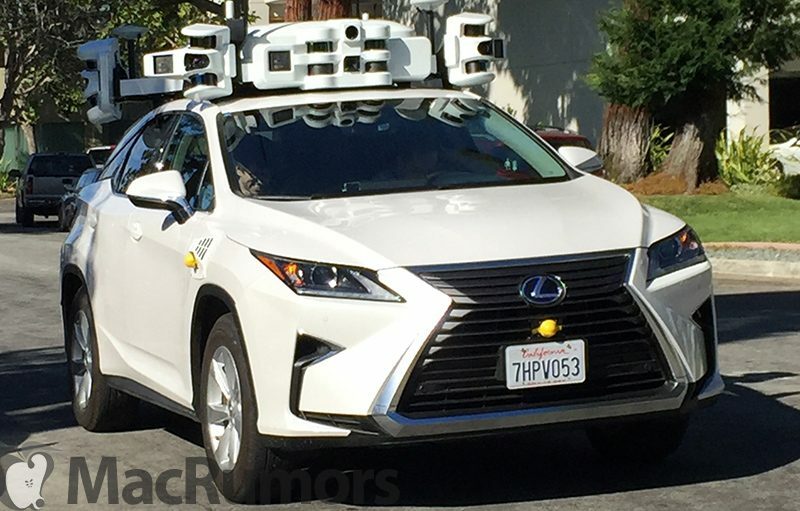 Apple has been granted a permit from the California DMV to test self-driving vehicles on public roads, and its vehicles, Lexus SUVs with radar and sensor equipment, have been spotted out on the road already. Apple may also be leasing a testing site in Arizona. Apple is also working on a shuttle program designed to transport employees between Apple's office in Silicon Valley. Apple is partnering with Volkswagen and will be installing its self-driving software in Volkswagen T6 Transporter vans to serve as an employee shuttle. In August 2018, rumors suggested Apple could potentially be exploring the idea of a full Apple-branded vehicle once again. Reliable Apple analyst Ming-Chi Kuo said that Apple is working on an Apple Car that will launch between 2023 and 2025, despite rumors suggesting that Apple has ceased its work on an autonomous vehicle and is instead focusing on software. Apple in January 2019 cut 200 employees from the autonomous car team, with many of those employees moving to other projects at Apple. Despite the culling of the team, Apple says that it continues to believe there is a "huge opportunity" with autonomous systems, and that the remaining team is focusing work on "several key areas for 2019." Internally, employees said the dismissals were not a surprise, but an expected restructuring under the new leadership of Doug Field, who joined Apple in August 2018 to lead the team alongside Bob Mansfield. It's not clear how this change will impact Apple's work in the autonomous vehicle field. Apple started with team of about 200 employees working on the Apple Car, but was said to be aiming to have more than 1,000 employees. Since early 2015, Apple has been recruiting employees from the automotive industry and other car-related fields, such as researchers with specialties in battery technology and autonomous systems. Apple has continued hiring for its car project even as some rumors have suggested that it has shifted focus to autonomous driving software rather than a full car, leaving its true plans unclear. Some employees on Apple's team have previously worked for major companies like Tesla, Ford, and GM, while others have been recruited from smaller companies like A123 Systems, MIT Motorsports, Ogin, Autoliv, Concept Systems, and General Dynamics. High-profile Apple hires from Tesla include former mechanical engineering manager David Nelson, former senior powertrain test engineer John Ireland, former Tesla head recruiter Lauren Ciminera, who may be working to recruit additional employees for the car project, and former Tesla vice president Chris Porritt, who may have joined Apple to play a key role in the development of the Apple Car. Porritt has decades of experience in the European automotive industry, having worked for companies like Land Rover and Aston Martin prior to joining Tesla. Former Tesla senior CNC programmer David Masiukiewicz joined Apple in April 2016 to work in the Product Realization Lab, perhaps creating prototypes of parts designed for the Apple Car. Kevin Harvey, who previously worked in the CNC machine shop at Andretti Autosport, is also working in the lab. Other notable hires include five employees from A123 Systems, a company that specializes in producing batteries for electric vehicles. Apple faced a lawsuit (now-settled) from A123 Systems over the poached employees, several of whom had expertise in lithium ion batteries designed for electric vehicles. The company's former CTO, Mujeeb Ijaz, is one of Apple's highest profile hires. Ijaz led a team responsible for research and development at A123 Systems, and prior to that, he worked at Ford as an electric and fuel cell vehicle engineering manager. Apple has also recruited two former Ford engineers and an engineer that came from General Motors, and it has been poaching battery experts from Samsung. Other former Ford employees, with expertise in body work, include Todd Gray and Aindrea Campbell. In mid-2015, Apple hired Doug Betts, who previously served as the Senior Vice President of the Chrysler Group, where he was the global head of operations leading product service and quality. Betts may be part of the operations team working on Apple's car project. Apple hired several employees from electric motorcycle startup Mission Motors, reportedly leading to the company's shutdown. Apple recruited six engineers from the startup, whom are said to have electric drive expertise. Apple has been hiring individuals with expertise in autonomous vehicles, such as Tesla Motors engineer Jamie Carlson, who worked on Tesla's autonomous vehicle firmware project, Paul Furgale, a researcher with specialization in autonomous vehicles, Jonathan Cohen, NVIDIA's former director of deep learning who worked on deep learning for NVIDIA's Drive NX platform, and Jaime Waydo, who formerly served as Waymo's head of systems engineering. Apple has also hired Megan McClain, a former Volkswagen engineer, Vinay Palakkode, a graduate researcher at Carnegie Mellon University, Xianqiao Tong, who developed driver assistance systems for NVIDIA, Sanjai Massey, a Ford engineer who worked on connected and autonomous vehicles, Stefan Weber, a Bosch engineer who worked on driver assistance systems, and Lech Szumilas, a Delphi research scientist with former expertise in autonomous vehicles. Other 2015 hires include Tesla Motors engineering manager Hal Ockerse, who worked on driver assistance system components; Subhagato Dutta, who worked on an automotive algorithm team at Texas Instruments; and Yakshu Madaan, who previously worked at Tata Motors, the largest Indian automotive manufacturer. In the summer of 2016, Apple hired Dan Dodge, who formerly ran BlackBerry's automotive software division and developed QNX, the software platform found in a wide range of in-car infotainment systems. Dodge's automotive software expertise suggests he is working on the team developing Apple's autonomous car system. Apple has at least two dozen former BlackBerry QNX employees working on developing an in-car software platform at a facility in Kanata, Canada. Popular YouTuber and engineer Mark Rober is working on Apple's special projects team developing VR technology that's designed to be used in self-driving cars both to mitigate motion sickness when doing activities like reading in the car, and for entertainment purposes. Rober has been with Apple for a few years now and is listed on several related patents. The VR technology would specifically be used within autonomous vehicles that do not require a person to be driving. Apple in August 2018 re-hired Doug Field, who spent five years working at Tesla where he oversaw production of the Model 3. Field served as Apple's VP of Mac Hardware Engineering until he left Apple for Tesla in 2013. Field is said to be working under Bob Mansfield on Apple's self-driving car program, suggesting Apple could still be interested in building its own autonomous vehicle. Several rumors about the Apple Car have included details suggesting Apple employees are working on the project at a top secret location in the Bay Area. Rumors and speculation suggest Apple's car campus might be located in Sunnyvale, California, just minutes from the company's main 1 Infinite Loop Campus in Cupertino. 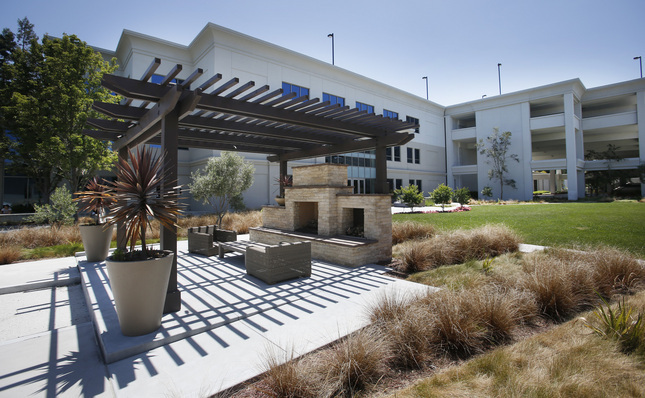 Apple officially leases several known buildings at the Sunnyvale location, but it is also said to be operating out of a shell company at the site, SixtyEight Research. SixtyEight Research claims to be a market research firm, but has received city permits for the construction of an "auto work area" and a "repair garage." It is not known if the rumors of the car project being housed in Sunnyvale are accurate, but based on past information, development on the car (or car software) is indeed taking place at a secret location outside of the company's main campus. Apple has been snapping up a lot of real estate in the Sunnyvale area, including an industrial building that was once a Pepsi bottling plant. Several of the buildings potentially associated with Apple's car project have secret internal names referencing Greek mythological characters like Zeus, Rhea, and Athena, all of which are tangentially related to "titans" in Greek mythology, perhaps hinting that the buildings are related to "Project Titan." Building plans Apple filed with city officials suggest the company's Sunnyvale facility, codenamed "Rhea," is being used for something car related, with references to automotive terms like "lube bay," "wheel balancer," "tire changer," and "wheel sensor. Apple is rumored to be operating a secret vehicle research and development lab in Berlin. The facility is said to employ between 15 and 20 men and women from the German automotive industry, all with backgrounds in engineering, software, hardware, and sales. The workers at the lab have all been described as "progressive thinkers" in their fields. Apple in late 2018 leased a large manufacturing facility in Milpitas, California. It's not clear what Apple plans to use the site for, but it could potentially be related to the car project. Apple's self-driving car program focuses heavily on safety, with Apple's vehicle protocols outlined in a white paper released by Apple. vehicle that's deploye is put through "rigorous verification testing" using simulation and closed-course proving grounds, and the test drivers operating the vehicles must complete multiple training courses. Apple also has safety protocols in place that require the driver to take over whenever necessary, and for the car to give control to the driver when it encounters situations it's unable to deal with. In May of 2016, Apple invested $1 billion in Chinese ride-hailing service Didi Chuxing, which can be likened to Uber. Didi Chuxing dominates the ride-sharing industry in China with more than 80 percent market share. In July of 2016, Uber announced a merger between its operations in China and Didi Chuxing, further expanding Didi Chuxing's reach in the country and adding value to Apple's investment. Didi Chuxing could potentially be useful to Apple's car project in the future, serving as a data source for self-driving vehicles. If Apple does develop an autonomous car system, deploying it to Didi Chuxing drivers would give the company a wealth of knowledge to improve its self-driving algorithms. In December of 2015, Apple registered three auto-related top-level domain names, including apple.car, apple.cars, and apple.auto. While the three domains could potentially be related to CarPlay, it's also possible Apple has saved the domains to be used in the future with an electric car or an autonomous car system. Currently, the domains are not being used by Apple and do not contain any information. Apple Car rumors had suggested Apple was targeting a 2020 release date for the Apple Car, but now that Apple has ceased work on developing an actual car, the company's plans are in flux. 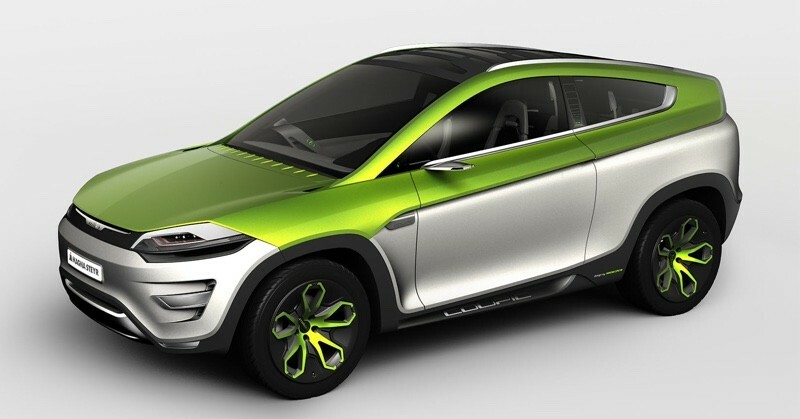 Apple analyst Ming-Chi Kuo recently said that Apple is still working on an Apple-branded vehicle, which is set to be launched in 2023 to 2025.